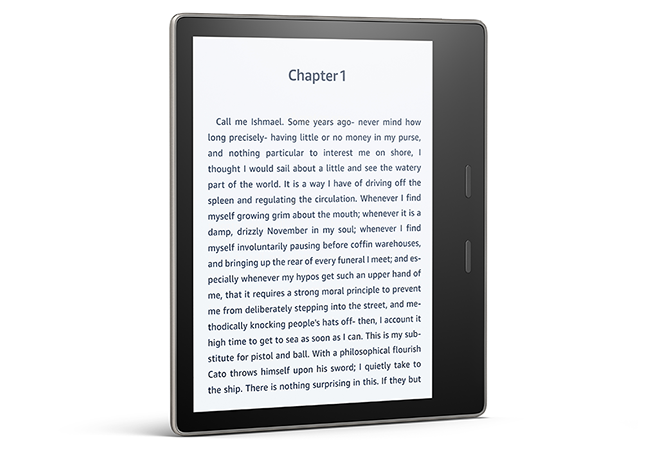 Amazon has updated its range of Kindle e-reader devices with the launch of an all-new Oasis. Introduced as a successor to the original machine of the same name, the 2017 Oasis lives up to its branding by being the first waterproof Kindle to date. Priced from £230 ahead of retail availability on October 31, the new Oasis is larger than its predecessor, featuring a 7in, 300ppi display, promising an increase of over 30 per cent more words per page. An integrated ambient light sensor helps keep tab on brightness based on your surroundings, and though the page-turn buttons on the side look identical, they now boast the fastest page turns of any Kindle device to date. The external design remains familiar, with a bulkier section on one side for one-handed reading and a profile that tapers down to 3.4mm on the other end. A new aluminium back ought to improve overall build quality and the Oasis remains an ultra-light device, weighing just 194 grams. 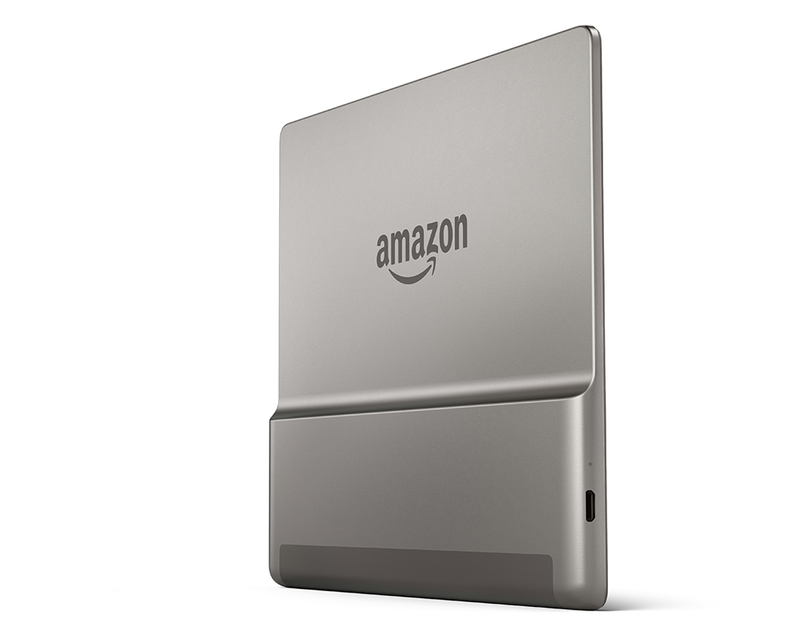 Amazon has taken the time to increase the internal battery capacity, and greater storage is provided by a choice of 8GB or 32GB models. Of course, the key selling point is that the new Oasis is IPX8-rated, meaning it can withstand immersion in up to two metres of fresh water for up to 60 minutes, making it more versatile than any Kindle thus far. Putting the increased storage options to good use, the new Oasis also features Audible integration, allowing for quick and easy access to Amazon's audio book store. There isn't a built-in speaker, mind, so you will need to pair a Bluetooth headset in order to listen in. 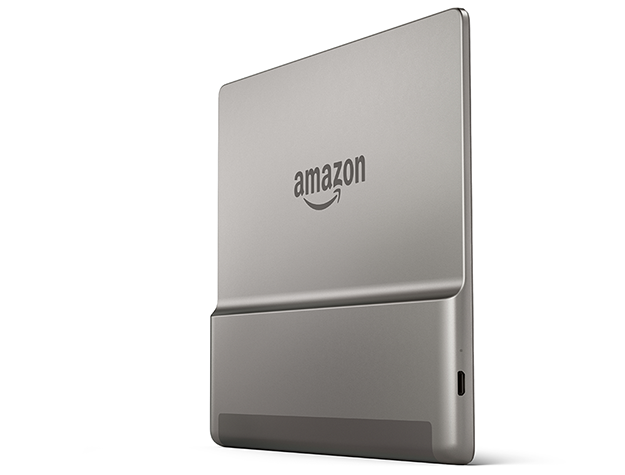 The new Kindle Oasis is now available to pre-order from Amazon, with prices ranging from £230 for the 8GB model, rising to £320 for a 32GB model with 3G connectivity. At the same price it is thinner, and lighter, with twice the memory. Wedge-shaped reader includes a leather charging cover, offers 'months' of battery life. Change will apply to payments to Kindle Direct Publishing authors. how about making the Kindle app, on windows, better! I don't want to view panels when reading a comic… I just want to ZOOM IN! Used my old kindle with a keyboard many times in the bath, the key is to not put the kindle in the bath but only yourself. If you get your hands wet, dry them off. I think my kindle cost £100 about 7 years ago, still going very strong! One of the few gadgets that I haven't replaced with an upgraded version.